Even though President Trump decided to keep a residual force of U.S. troops in Syria, it will not be enough to counter Russia and Iran. The U.S. will keep as few as several hundred troops in Syria, mostly around al-Tanf, focused on intelligence, surveillance, and reconnaissance. Russia sees the U.S. drawdown as validation of its Syria strategy, where Putin has dedicated significant resources to bolster the Assad regime. Iran will benefit from fewer U.S. troops in Syria, working to extend influence across the region, from Damascus to Baghdad and beyond. After months of back and forth and policy reversals on a U.S. troop presence in Syria, President Trump has decided to keep a residual force in the country. However, it will not be enough to counter Russia and Iran. 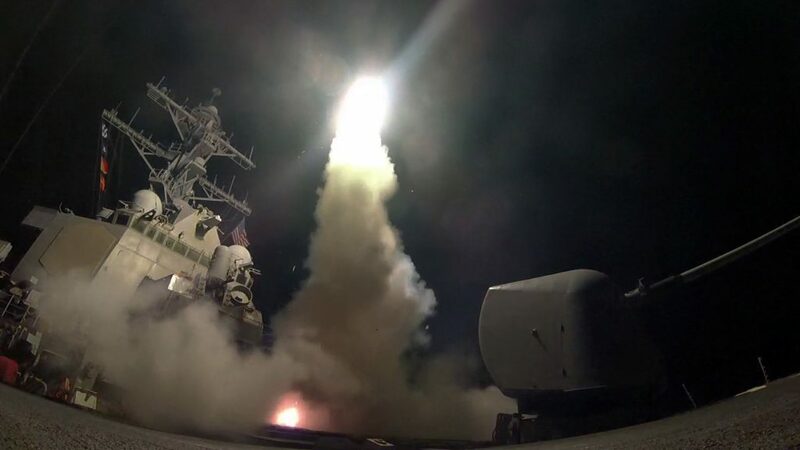 Both countries welcomed Trump’s decision to reduce America’s role in Syria, as Washington declared a premature victory over the so-called Islamic State (IS) and looks to make a swift exit. Many prominent U.S. politicians and high-ranking military officers have openly proclaimed the need to keep troops behind to prevent the return of IS, although the Trump administration is mostly focused on countering the threat of Iran. Still, the U.S. troop commitment, which could be as low 400 troops, will struggle to make much progress against containing Iranian influence when its other priorities include countering Islamic State remnants and preventing clashes between U.S.-backed Kurdish militias and Turkish troops. The remaining U.S. presence in Syria is mostly centered around al-Tanf and will focus on intelligence, surveillance and reconnaissance as well as counter-terrorism. Much is still unknown about precisely what the linkup between American resources and priorities will be, with U.S. CENTCOM commander General Joseph Votel recently remarking to the U.S. House Armed Services Committee that ‘details are still being developed.’ The Trump administration is trying to secure commitments from European countries—especially the United Kingdom, Germany and France—on maintaining a troop presence in Syria, with a U.S.-imposed deadline of last Friday passing without any such agreement. The U.S. and European countries also have a vested interest in what happens to the thousands of IS militants and their families currently being detained in Kurdish prisons throughout northern Syria. Russia sees the U.S. drawdown as validation of its Syria strategy, where Putin has dedicated significant resources to bolster the Assad regime. The Kremlin’s involvement in Syria is important both symbolically and practically. Putin seems poised to wield considerable leverage in any future negotiated political settlement in Syria, allowing Moscow to raise its status as a great power that can achieve its foreign policy objectives in a volatile region outside its traditional sphere of influence. 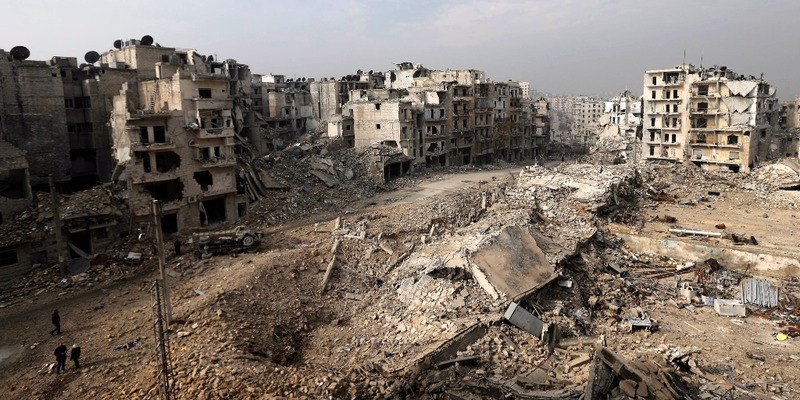 From a geopolitical perspective, the Russians will use Syria as a staging ground to project power throughout the Middle East and beyond, while also leveraging its relationships with Syria, Iran, and Turkey to further sideline the United States. Russia and Turkey recently began joint military patrols of Idlib Province, in what Moscow and Ankara have referred to as a ‘de-escalation zone,’ even while the terrorist group Hayat Tahrir al-Sham maintains a sizeable presence there. Beyond Syria, Russia maintains positive relations with Washington’s closest allies in the region, Saudi Arabia and Israel. Further, perhaps encouraged by success in Syria, Moscow is seeking to play a more significant role in the conflict in Libya. Iran will benefit from fewer U.S. troops in Syria as well, working to extend influence across the region, from Damascus to Baghdad and beyond. Tehran is one of the primary beneficiaries of American retrenchment in Syria, even as it remains the primary foreign target of the Trump administration. Syrian dictator Bashar al-Assad recently visited Tehran to shore up support for his regime, and if Assad remains in power as now seems inevitable, Iran will be able to maintain its close relationship with Damascus and Lebanese Hezbollah. Given contradictory statements and an inchoate policy in Syria, it remains uncertain what role the U.S. will play in any potential resolution of the conflict. What is apparent, however, is that both Russia and Iran will assume a greater role, not only in Syria but in shaping the future of the Middle East each according to their own priorities and objectives, which in Syria, at least, have dovetailed.